I read an article looking into Captain Shah's life leading up to Flight 370. I am a member of the flight simulator community, and when I read that a sim rig had been taken from Shah's home, I figured it might be worth looking into if he used any of the online resources available to the community. The most up to date simulator software for the average user is X-Plane 10 by Laminar Research, though older versions are still frequently used. While the program itself is fairly basic, there are organizations called Virtual Airlines that maintain fleets of aircraft, additional scenery (in some cases, photo-realistic), and various other add-ons. 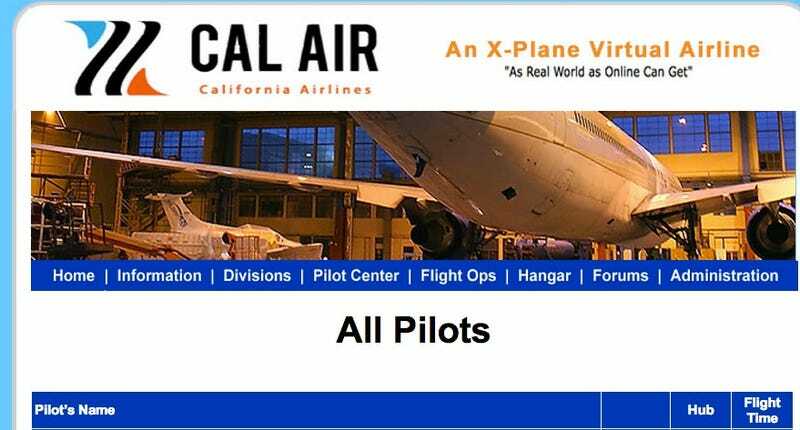 When I visited the website for for "CalAir" http://www.californiaair.net , the public list of registered members showed a pilot by the name of "Shahmeel Ahmed," who had only just registered on the 14 February, 2014. He is currently listed as having not met his hours and will be removed from the pilot roster by the end of the month. Additionally, a second pilot with a similar name to the co-pilot is on the roster. He is listed as Abdul Haakim. He also has not logged on since the middle of February. This pilot has accumulated enough hours to have access to scenery from the region and aircraft of the type he flies professionally, accurately rendered. I've uploaded screen shots of the website for record, and you are free to view this information yourself through the link in the above paragraph, though if neither user logs on by the end of the month, they will be removed from the list. Additionally, it would not be typical for someone to put in the number of hours the supposed co-pilot did on this platform to simply abandon it. I believe that this may have been an attempt to gain access to the thorough and accurate scenery package available through CalAir, in addition to their fleet which includes the type flown on Flight 370, especially now that it seems the possibility exists that this plane was intentionally diverted and could be used for some purpose other than a simple pilot suicide. The resources available to the sim community would facilitate learning specific information about wherever a supposed diversion would take them and the conditions they would need to prepare for.